← Trinity Kids programs start this week! Milpara is currently looking for suitable candidate to provide pre-accredited Learn Local training for our Monday, adult English and Math classes/s. To express interest or for more details please give us a call as soon as possible on 5655 2524. Trinity Kids wellbeing programs start this week. If you would like to know more about the programs or have your child attend please book via their website trinitykids.com.au or contact Deanne 0437 331 308. 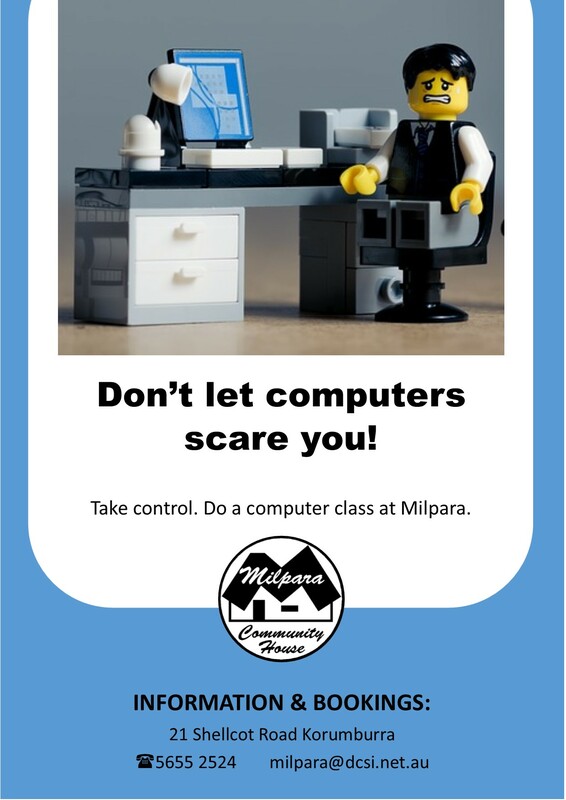 We are still taking enrolments for our computer classes. Office Essentials will focus on Excel and Publisher this term and runs over six Mondays commencing February 18. Introduction to Computers commencing Wednesday February 20, will run over week 4 weeks on Wednesday and Fridays. Introduction to Computers Beyond Basics will also be run on Wednesdays and Fridays over three weeks and commence on March 20. Cloud accounting has changed the game for small businesses. It connects small business owners with their numbers anywhere on any device. We are providing a Cloud Accounting for Small Business course, this term using Xero. This course will equip attendees with the skills to efficiently use the cloud accounting package Xero and integrated apps Tsheets and Receipt Bank, to allow more efficient business management, to streamline and automate their business processes and to allow for easy recoding of business information. The course will run over six weeks on Tuesdays commencing February 26. For more information about Milpara and the courses provided please call our friendly staff on 56552524.